The Black Widow is on the secret mission again and she has to get close to the villain who want to get the secret information about S.H.I.E.L.D. and new technologies. 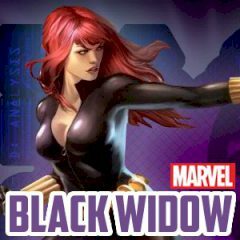 The Black Widow is the deadly member of the Avengers and considering the fact that she has no superpowers she is still deadly like other member like Iron Man or Hulk. Sometime the member of this incredible squad goes out for solo mission and now it's Natasha's turn to chase for villain and save people from terror. Be careful, you are one against the whole army.